After coming up empty at Target, Walmart, ShopKo, D.I., Savers and Kid-to -Kid for red glitter shoes for Ash’s costume, I finally decided to make my own! I found the cutest pattern for toddler shoes and with a few modifications — Ta Da! Ruby Slippers. The pattern was so easy to make, even for a beginner like me. 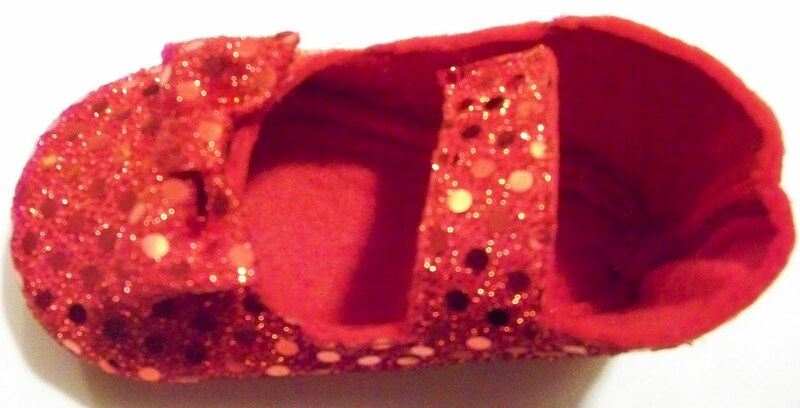 I fused red glitter fabric to a double layer of red felt, cut the pieces out and sewed them together on my wonderful little 1941 Singer Featherweight machine. The whole thing took less than an hour. After I tried them on Ash for the first time I realized that her feet were so wide that the strap across the foot didn’t reach all the way over. I ended up cutting the strap off and sewing in 1/2″ white elastic in its place and that actually worked great. 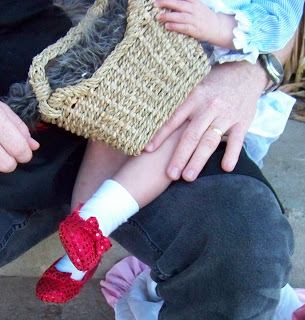 These shoes were the hit of our Halloween and I got so many compliments on them. 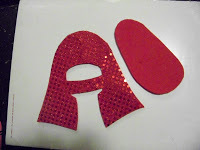 The materials for this project set me back $2.75 for the red felt, fusible webbing, glitter fabric and elastic. The pattern was another $3.99, but so worth it. 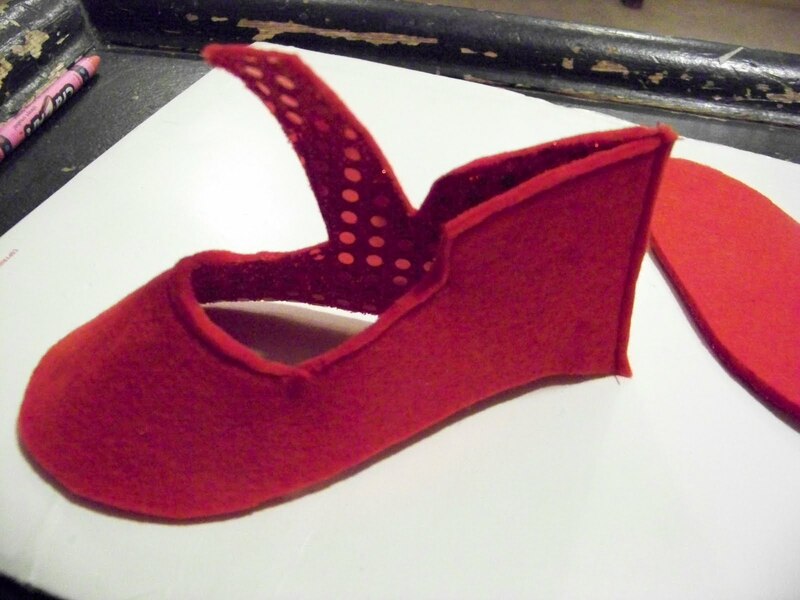 I’ve already made another pair for Ash and am already plotting for some cute Christmas shoes. 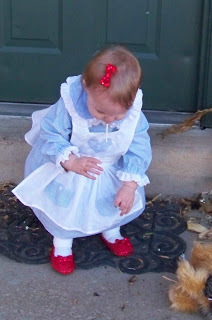 There’s lots of other cute shoe and clothes patterns here. Love! I want to make a pair but can't find the pattern. Can anyone help?